I have the GREATEST neighbors! I live in a town home and my neighbor beside me loves to grow vegetables. Lucky me! His wife called the other day and told me to come to the back porch because they had two big bags of squash for me. So I just had to make this Cheddar Squash Casserole. Since I’m updating this post I USED to have the greatest neighbors at that town home I lived at. The day I got that huge bag of fresh squash I was so excited and made this casserole. 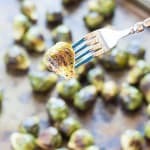 It has been on every holiday table and potluck ever since! So you know what I did when I got that bag of squash. I made my favorite recipe of Cheesy Cheddar Squash Casserole. 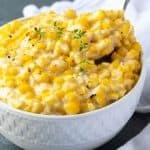 I use Paula Deen’s recipe of cheesy squash casserole and make minor changes to it. It has always been my favorite! I even ate the leftovers for breakfast the next morning. That’s how good it is. I slice my squash thin and sauté in butter, along with some chopped Vidalia onions until they’re soft (about 10-12 minutes). Drain off the juices in a colander and press with the back of a spatula or a big spoon. You don’t want the casserole to be all watery, do you? 🙂 (Trust me, it’s happened). Transfer the cooked squash and onions to a large bowl. Add some shredded cheddar cheese, grated Parmesan cheese, sour cream, salt and pepper… then stir it all up with a big spoon. Transfer to a greased 2 quart casserole dish. Preheat oven to 350 degrees F. Grease a 2 quart casserole dish. In a skillet over medium heat, melt butter. Saute onions & squash until tender, stirring frequently (about 10-12 minutes). Drain squash & onions in a colander. Press with a large spoon or back of spatula. Transfer squash & onions to a large bowl. Add cheeses, sour cream, salt & pepper. Stir well to combine. Place squash mixture into greased casserole dish. Top with crumbled buttery crackers. Bake (uncovered) for 15-20 minutes, or until crackers are golden brown & edges of casserole are bubbly. 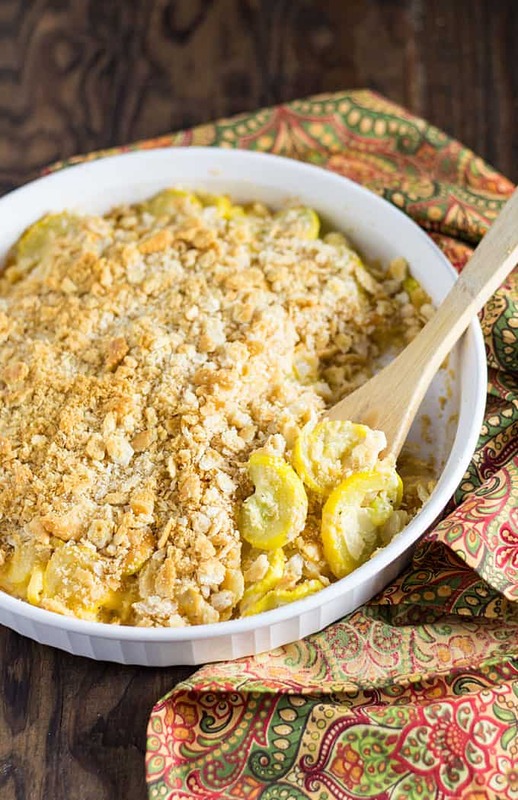 Instead of a birthday cake, I want one of these squash casseroles this year! Looks divine! I’ve made this twice now and it’s delicious! Do you think it would freeze well? Hey Megan! Glad you like it. I’ve never tried to freeze it and don’t know; my thought are that it probably wouldn’t freeze well. If you try it, please let me know! I made this last week, love it. Thanks, Wanda. 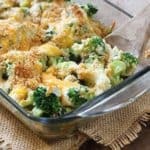 I think it’s my favorite vegetable casserole! 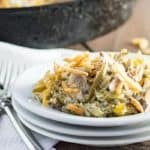 Just finished dinner with this “delicious ” casserole! I agree with you…. It will be my breakfast tomorrow! Thanks, Vickie… so glad you enjoyed it!!!! This tastes delicious. Scalloped potatoes, move over. Perfect 1/2 recipe too. Thanks, Faith! Glad you enjoyed it! This is SO good! I was looking for one that didn’t call for mayo – because that’s how I have always made it. This one is way better than the mayo version. 🙂 I didn’t have any crackers because my 2 year old scarfed them all….so I used crushed croutons instead. Fabulous! This looks so good! 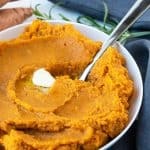 Perfect time to start testing recipes for Thanksgiving! As such, I am also planning to make pork tenderloin to accompany this dish. Question for you – if the pork tenderloin needs to be cooked at 425, how can I adjust the baking time for this dish? Any input would be greatly appreciated! 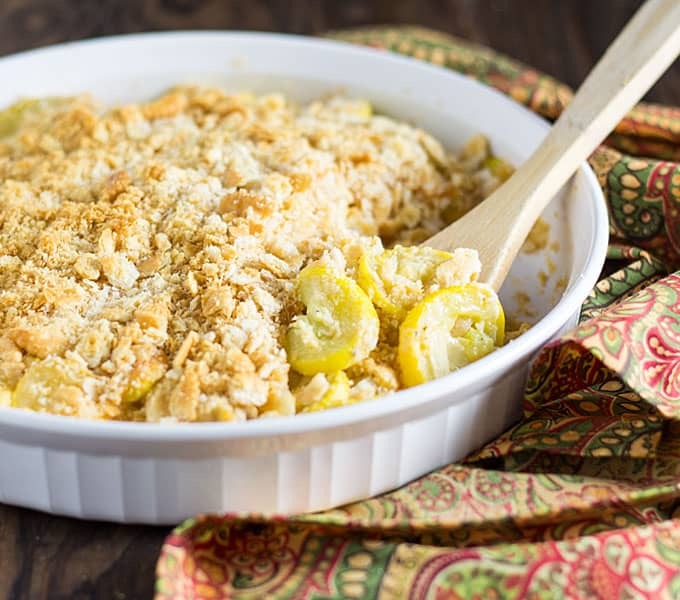 Hi Marcie, I’ve never adjusted the temperature or baking time of this squash casserole so I can’t say – it’s so good that I never want to risk adapting/modifying it in any way! 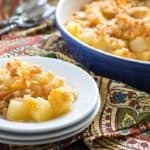 This cheddar squash casserole was a big hit at Thanksgiving!!! Yay! Thanks so much, Carolynne. Hope you and your family had a great Thanksgiving! Made this August 13, 2017. Mixed half yellow squash and half shredded zucchini from my freezer, and topped with crushed and buttered garlic croutons. Delicious! Plan to make another time for guests. That sounds delicious, Jan… so glad you enjoyed it! I always have the best luck with your recipes and this one was no exception! It was great and “clean” and a total success! Has anyone made this with gluten free crackers? And if so what kind/brand?